Adobe Lightroom is the standard in photo management and photo editing. But it also includes a module for putting your photos into a bookstore-quality book. One of the coolest features of the Lightroom Book Module is that it tracks your activity in Lightroom. That means any changes you make to your images in Lightroom will also update those images if they are already in page layouts. Since 2010, photographers have been uploading their pages directly from within Adobe Lightroom to the Blurb site, and then receiving beautifully-rendered images on the best paper in Blurb’s Photo Books. Now you can do even more! 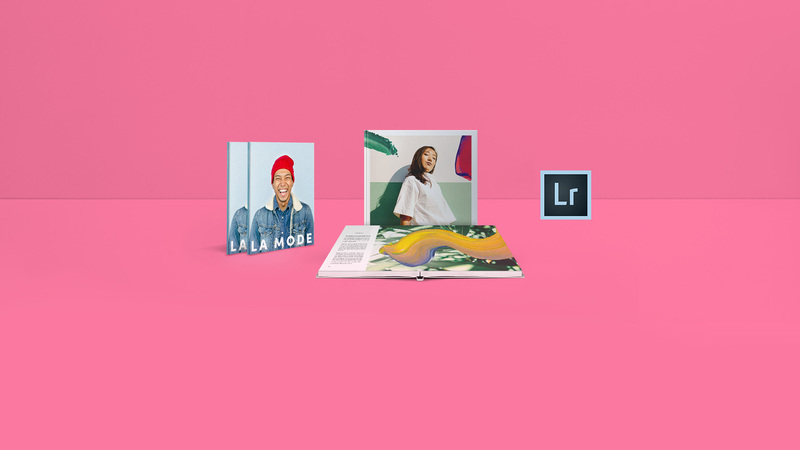 This most recent update gives Lightroom users the opportunity to leverage the best of Blurb’s book-making tools to create and print bookstore-quality Trade Books, Premium Magazines, and our very popular Layflat Photo Books. All via the Book Module. Allow photographers to seamlessly showcase their creativity across a two-page spread, without losing any part of their image to the gutter (or center of the book). You can now sell Layflat albums as part of professional packages using the Blurb Bookstore—all without leaving Lightroom. Affordable, lighter-weight publications ideal for serial content or high-volume printing projects. These work great for leave-behinds, short-run projects, or even as proof guides for clients. Include three industry-standard trim sizes printed on uncoated paper. Their lower base price allows authors to reach a wider audience by selling at market-comparable prices. You have to see the Trade Book Standard Color print quality to believe it. It’s competitive with many large-run traditionally published books you’d find in a bookstore. Next time you’re working in Lightroom Classic CC, be sure to take a look at these new updates and offerings.